Andrej Kramaric was on fire once again against Werder Bremen as he moved Hoffenheim level with Borussia Dortmund in third place. 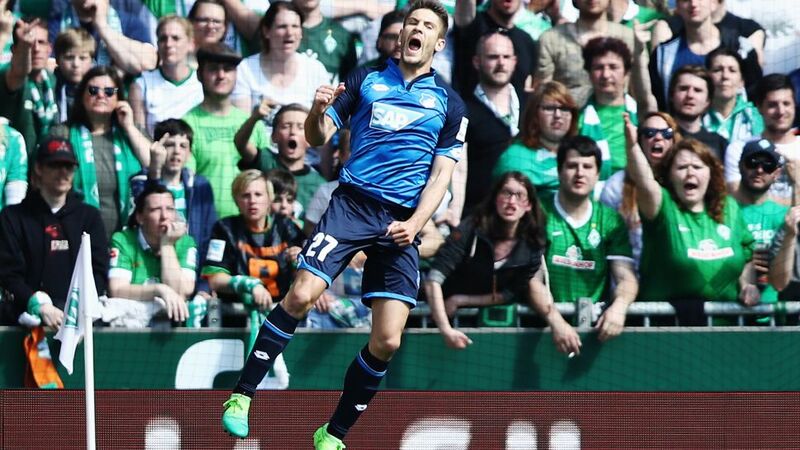 Click here to sign up Andrej Kramaric for your Official Fantasy Bundesliga team! The Croatian continued his excellent form this year with two more goals and an assist to put TSG 4-0 up at Bremen before the Green-Whites launched a late comeback attempt, but Kramaric had already done the damage to move Hoffenheim level on points with Dortmund and cut the goal difference down to just four goals. Was Kramaric's performance good enough to win the Matchday 33 #BLMVP award? If so, vote for him now below! Twelve of Kramaric’s 15 Bundesliga goals this season have come in 2017.The 25-year-old had more shots than any other Hoffenheim player (4).He also completed the most sprints (26) as Hoffenheim constantly looked to stretch the Bremen defence. Vote now for your Bundesliga Team of the Season below!